Currently Tank-Masters.de visits the Combat Training Exercise Enforced Integrity 2018 of the upcoming enhanced Forward Presence (eFP) Battle Group Lithuania led by our friends of the 104th Armor Battalion from Pfreimd at the German Army Combat Training Center in Letzlingen. 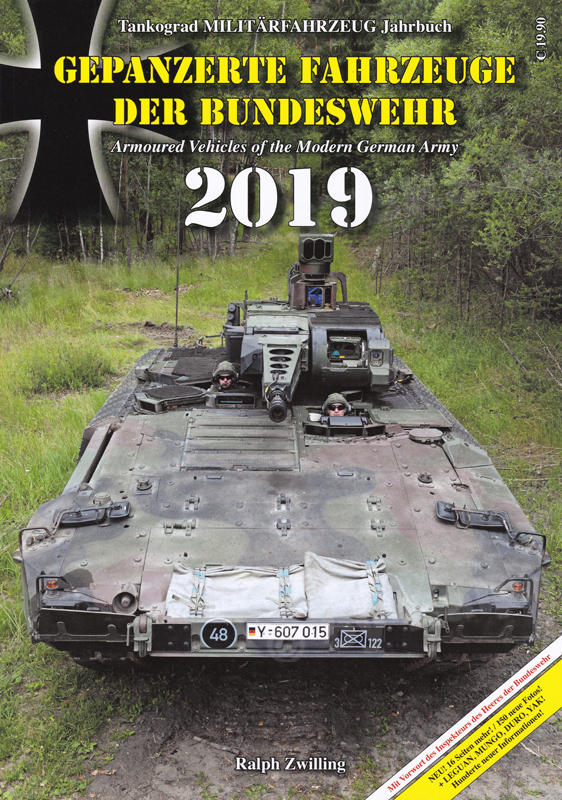 In a few days, our new yearbook Armoured Vehicles of the Modern German Army 2019 with a foreword provided by the Chief of the German Army, Lieutenant General Jörg Vollmer, will get released by Tankograd Publishing. The new yearbook includes many new vehicles like the Leopard 2A6MA2, Bridge Layer Leguan, DURO, Yak, Mungo 1 & 2, AGF Serval as well as more than 150 new photos and many new information. 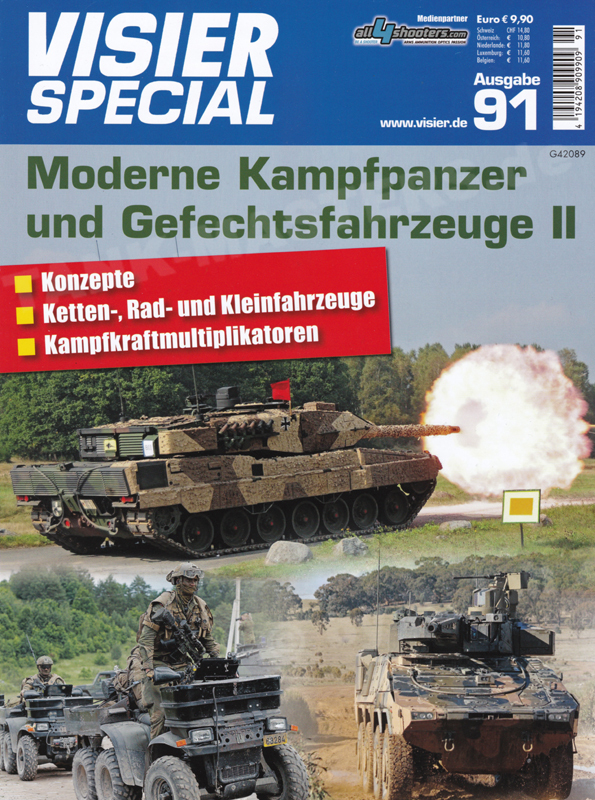 If you are interested in the equpiment of the modern German Army, do not miss to get this publication! Recently Tank-Masters.de visited the tactical road march of the 2nd Cavalry Regiment from the Grafenwöhr Training Area to the Hohenfels Training Area as part of the Field Training Exercise Dragoon Ready which is a 7th Army Training Command/JMRC led exercise designed to enhance readiness & qualify the 2nd Cavalry Regiment in Unified Land Operations. 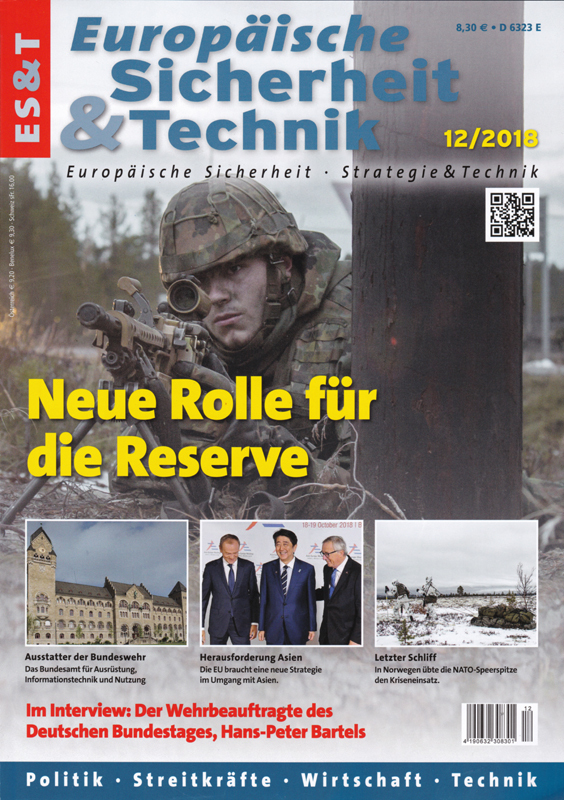 Recently Tank-Masters.de had the exclusive permission to visit the second part of the operational tests of the new Bundeswehr armored bridge layer system Leguan at the Engineer Training Center in Ingolstadt. 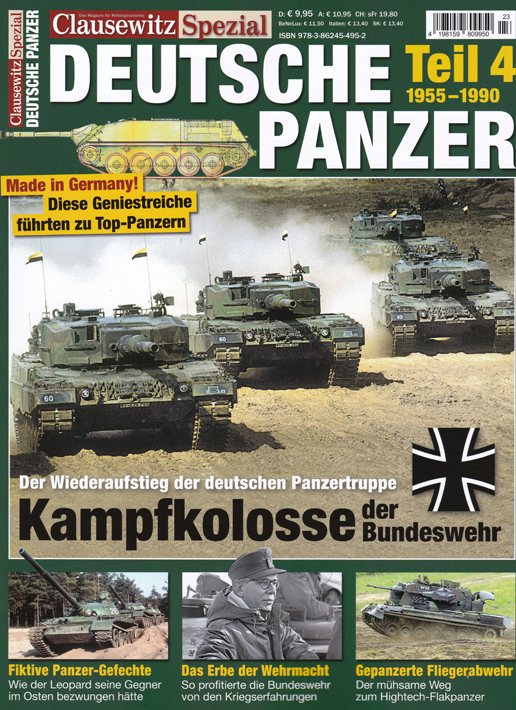 Tank-Masters.de supported the new book „Deutsche Panzer Teil 4 – 1955-1990“ published by the GeraMond Verlag GmbH with high quality photos of the Leopard 2A7 Main Battle Tank. From 8 to 9 September 2018 Tank-Masters.de visited the exericse Fusiliers Resistance of a Task Force led by the Dutch 17 Pantserinfanteriebataljon Garderegiment Fuseliers Prinses Irene at the German Army Combat Training Center in Letzlingen. 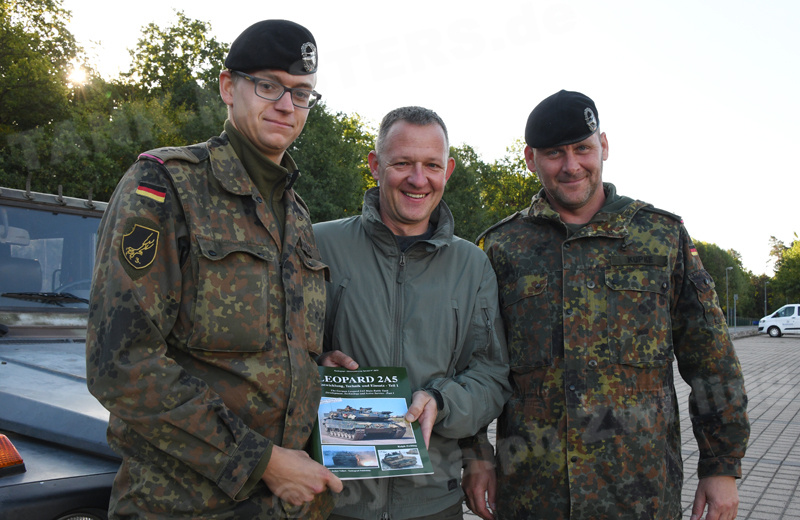 On 8 September 2018 Tank-Masters.de had the great honor to hand over a copy of the new book about the German Bundeswehr Leopard 2A5 Main Battle Tank to the Company Commander and Company Command Sergeant Major of the 3rd Company of the German Army Combat Training Center in Letzlingen. This company is the last unit of the German Army using the Leopard 2A5 MBT during their role as the Opposing Force. The book describes not only many details of the Leopard 2A5 MBT but also shows numerous photos taken together at the Combat Maneuver Training Center in Hohenfels in the 1990s. The book will get officially released by Tankograd Publishing on 15 September 2018.